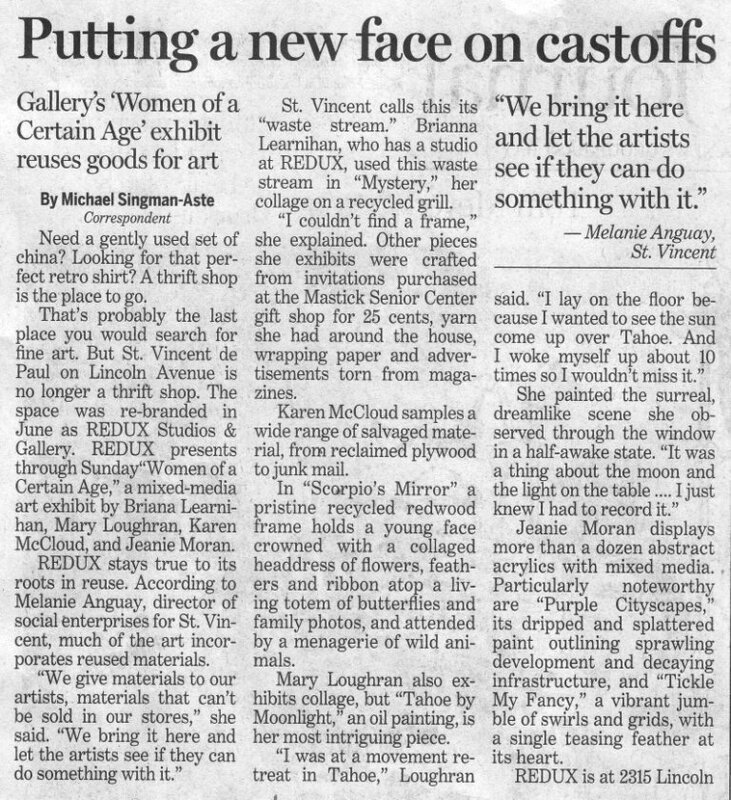 This article appeared on October 14, 2011 in the Alameda Journal. Connie Rux, editor. 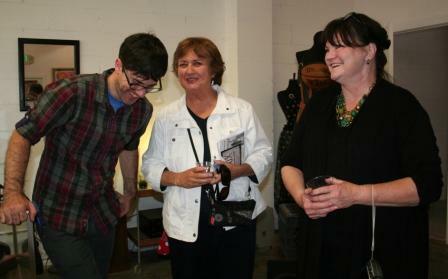 From left: REDUX manager Chris Rummell, Alameda Women Artists President Bonnie Randall Boller, and artist Briana Learnihan at the September 10 opening reception. Photo: Michael Singman-Aste. This entry was posted on Friday, October 14th, 2011 at 6:55 am	and is filed under Artists. You can follow any responses to this entry through the RSS 2.0 feed. You can leave a response, or trackback from your own site.